Researchers at Intermountain Healthcare and University of Utah Health in Salt Lake City have completed a study identifying how community hospitals with fewer than 200 beds can develop antibiotic stewardship programs that work to prevent the growth of antibiotic-resistant organisms, or "superbugs," which are becoming more common and deadly. For the 15 month-study, researchers compared the impact of three types of antibiotic stewardship programs in 15 small hospitals within the Intermountain Healthcare system. They found the most effective program used infectious disease physicians and pharmacists at a central hospital working with local pharmacists to reduce broad-spectrum antibiotic use by nearly 25 percent and total antibiotic use by 11 percent. Researchers found other programs without central support did not see an improvement in antibiotic use. Results of the new study are published in the medical journal, Clinical Infectious Diseases. All hospitals, no matter how large or small, need antibiotic stewardship programs to help physicians use antibiotics optimally and prevent the growth of antibiotic-resistant organisms. Until now, it's been unclear how small community and rural hospitals could build such programs to effectively reduce antibiotic use. Antibiotic stewardship programs are now required in all U.S. hospitals regardless of their size. Antibiotic resistance, which is accelerated by the overuse of antibiotics, means bacteria adapt in a way that reduces or eliminates the ability of antibiotics to cure or prevent infections. The bacteria can then turn into drug-resistant "superbugs" that can cause life-threatening infections. Antibiotics are also responsible for many side effects in patients in the hospital, including Clostridium difficile, or C diff. Hospitals across the country are required by The Joint Commission to implement antibiotic stewardship programs to improve antibiotic prescribing in hospitals, since experts estimate 30 to 50 percent of prescribed antibiotics could be used more effectively — or are unnecessary. "Having an antibiotic stewardship program in place that ensures the right antibiotic is used for the right patient, at the right time, in the right dose and route, and for the right duration will help us protect the effectiveness of the antibiotics we use," said Eddie Stenehjem, MD, an infectious disease specialist with Intermountain Medical Center and lead author of the study. "The challenge has been knowing how these programs can be implemented in small hospitals, where, historically, they've been absent, even though antibiotic use rates in small hospitals are very similar to large hospitals, where the programs are typically found," he added. While many smaller hospitals have lacked the resources to build a formal antibiotic stewardship program, researchers determined that using a centralized infectious disease support program decreased overall antibiotic use and the overuse of most broad-spectrum drugs, which are used to target a wide range of bacteria that cause diseases. "For the first time, all of the participating hospitals had access to infectious diseases physicians via a hotline," said Dr. Stenehjem. "This allowed the patients to receive expert consultation while remaining in their community." Only hospitals in program 3 saw a significant reduction in antibiotic use compared to baseline data. Hospitals in program 3 reduced broad-spectrum antibiotic use by 24 percent and total antibiotic use by 11 percent. "The bottom line is, small hospitals cannot do it by themselves, but by sharing experts and resources within a system, they can really reduce the inappropriate use of antibiotics," said Andrew Pavia, MD, professor of pediatrics at University of Utah Health. 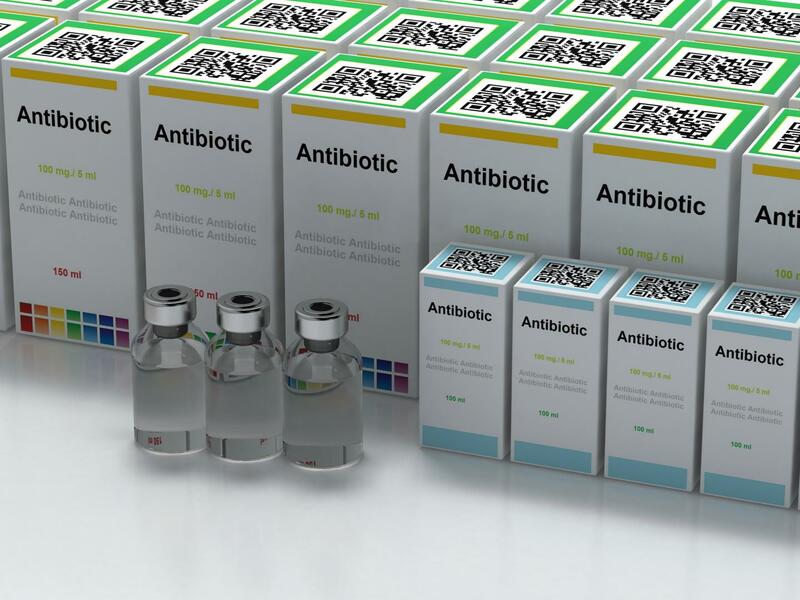 "And more appropriate use of antibiotics will help address the growing problem of 'superbugs' that can cause costly and dangerous infections.'" Members of the research team include: Eddie Stenehjem, MD; Whitney Buckel, MD; Peter Jones; R. Scott Evans, PhD; John P. Burke, MD; Bert Lopansri, MD; and Rajendu Srivastava, MD, from Intermountain Healthcare, and Adam L. Hersh, MD; Xiaoming Sheng, PhD; Tom Greene, PhD; and Andrew Pavia, MD, from the University of Utah School of Medicine.